Medianews - ZAZA OKUASHVILI RECOGNIZED AS THE BEST INVESTOR OF THE YEAR"
The leading Georgian companies and business persons were announced at the 17th Business Rating Award Ceremony – the event held jointly by the Georgian Times Media Holding and the Georgian Opinion Research Business International – GORBI on November 10th. Omega Group and the famous businessman Zaza Okuashvili have been recognized as the best Investor of the year. The Vice Prime Minister and the Minister of Economy and Sustainable Development, Dimitri Kumsishvili handed over the award to the Director General of the Company Giorgi Kurdadze as the awardee was not attending the ceremony due to his visit abroad. At the annual Business Rating Ceremony, Omega Group and the TV Company Iberia have been decorated with the National Business Awards. 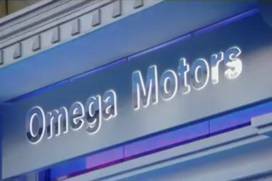 Under the decision of the Honorary Jury, Omega Group has won the awards in the following nominations: The Largest Investor; the Ultra Modern Technologies; the New Jobs; the Highest Standard of Service. 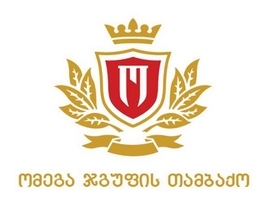 Tbilisi Mayor Davit Narmania presented the company with the golden cross badge and the certificate. As the Director General of Omega Group, Giorgi Kurdadze told Medianews, business activities by Omega Group and its founder, Mr. Zaza Okruashvili cover many different sectors and each of these businesses aim at promoting country’s economy. 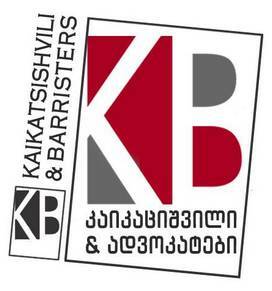 “Our company has been operating in Georgian economic space since 1991. Through this period, our company has contributed GEL 1,500,000,000 to the state budget. This is not an insignificant number. We have always been among the leaders in terms of contributing to the state budget and we have always been proud of this. We have about two thousand employees currently and this is a great achievement as well. Our company is performing in many different spheres. We hope for further enhancement. 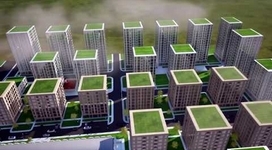 This performance is the outcome of the approach that the founder of the company, Mr. Zaza Okuashvili has towards these businesses; he is constantly focused on work and is always dedicated to do much more for Georgia, to attract more investments”, - Giorgi Kurdadze said. At the 17th Business Rating Award Ceremony, Iberia TV has been presented with the awards in the following nominations: Support to the Georgian Business and Popularization. The Business Ratings Gala Event was attended by the authorities from legislative and executive governments, businessmen, diplomats and the local and foreign media representatives. The goal of the project is to identify the most successful sectors of the national business, to support dialogue among the business sector, the government and the society. Media Holding Georgian Times and the Georgian Opinion Research Business International (GORBI) have been holding the Business Rating Awards since 1995.